The Maple Building is a large Victorian warehouse situated in north London. Originally occupied by light industries, including textile factories and a Second World War aeroplane components manufacturer, its former uses have shaped the building. 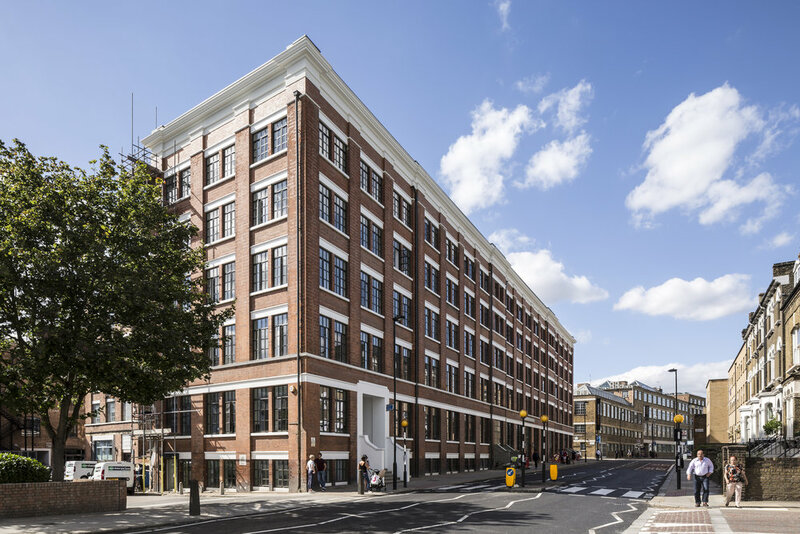 When setting out we sought to maintain its historic character through a sensitive integration of the existing fabric with a new mixed-use programme - including residential, commercial and leisure spaces. 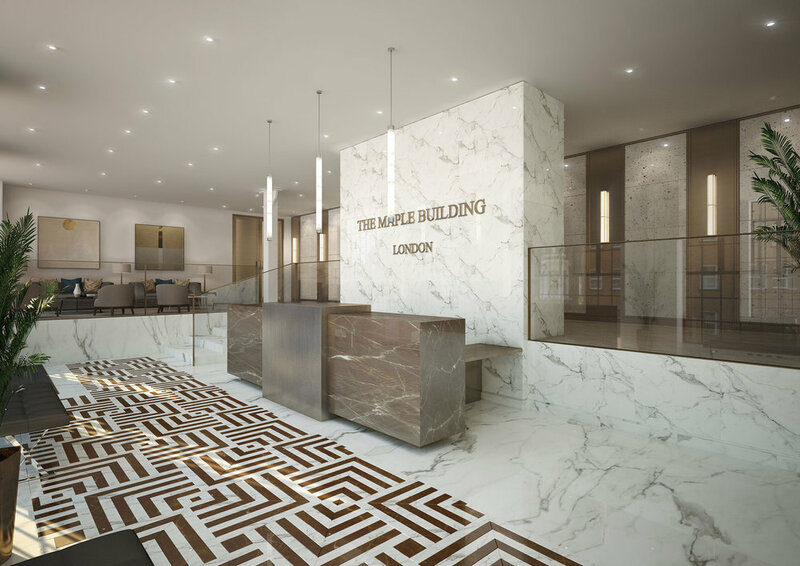 Having returned the facades to their original elegance, performing an internal renovation, and adding a rooftop extension, we delivered a mixed use development comprising a gym, commercial units and fifty-seven apartments with spectacular views over the city. Atop the newly refurbished warehouse now sits a glazed box housing the penthouses. Moveable bronze screens maintain the proportion of the the brick facade below. To achieve the new roof space whilst retaining the essential character of the building, the parapet was reconfigured to respond to views from the street.